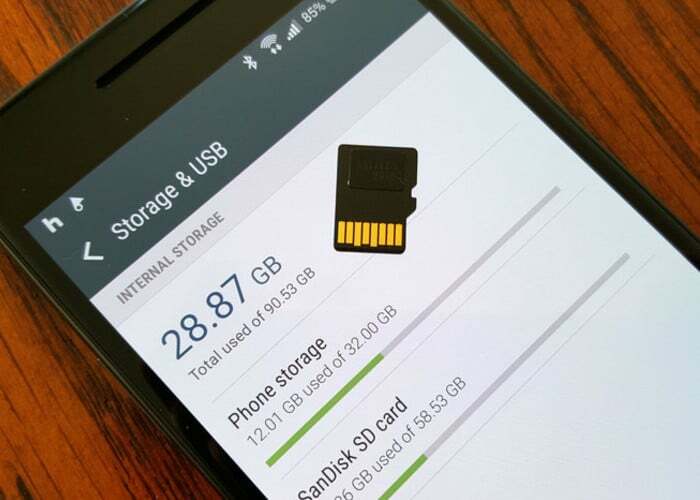 One of the new features that caught our attention in the presentation of Android 6.0 Marshmallow was the ability to use microSD cards as if an internal memory it were, thus reducing the space problems that some users might suffer devices incorporate a small storage, although some time ago discovered that this new option was a half-truth. Today, thanks to Android Authority , we learned that two of the new ship terminals badge were presented last week at the Mobile World Congress 2016 in Barcelona, ​​will not be compatible with this functionality, but give us a good reason to remove this feature. Samsung has decided not to use the Android Marshmallow “adaptive storage”. We believe that our users use a microSD card to transfer files between their phone and other devices (laptop, tablet, etc. ), especially photos and videos to be performed with the camera. With customizable storage, first, the card may be formatted the first time they are inserted into the device and do not want our users lose their files. Second, once Marshmallow starts using a card for adaptive storage it can not be read by other devices, so it loses the ability to be used for file transfer. This function is intended primarily to emerging markets, where devices with a 4-8 GB of internal storage are common. It seems that the reason that was given by Samsung is quite reasonable, and if we remember the specifications of the two terminals of LG and Samsung, we see that models with less internal memory start at 32 GB, so the lack of this feature, in principle should not be a problem. Although we must not forget that this is Android, and do not rule out some developer could re-activate this option. What do you think of this measure by Samsung and LG?